Buying vintage watches can be overwhelming when you first get started. Not only do you have to determine which brand you're interested in, you also have to choose a collection, model, variation, and year. Then, you'll have to hunt for the watch online and at vintage watch auctions. This process can be daunting, but having a plan in place makes the search much easier. To help you start and end your search, we've compiled 14 tips and tricks to buying vintage watches. The first seven tips will help you begin your search; the last seven tips, to determine if a vintage watch is working well. But first and foremost, the number one rule when buying vintage watches is to do your research. Research available options, possible vendors, and your chosen watch. Doing your research before committing to a watch will save you quite a bit of heartache, and it will prevent you from buying on impulse. 1. Decide if you’re looking for a specific watch, brand, or style. However if you're flexible, you’ll have a better chance of finding a hidden gem. If you are set on a specific vintage watch, you may be on the hunt for a while before finding a good watch at a competitive price. 2. Choose a vendor carefully. Read reviews and ask for opinions. Buying a vintage watch from a bad vendor could lead to costly problems and repairs. Vendors that do not disclose all of the problems with the watch will often charge you more than the watch is worth. a. Who manufactured the watch? b. What is the model? c. What is the grade? d. What is the age? e. What is the size? f. How is the quality? Are there any scratches or dents? If it's a gold watch, is the plating wearing through? g. Are there any unique features? h. Has anything been replaced or is everything original? 4. Do your research. With the information the vendor gave you, verify it online to make sure everything adds up. Also, check the watch for correct signage on the dial, crown, movement, and caseback. 5. Reach out to the watch company and see if they can give you any information on the watch. Some companies, such as Longines, have a heritage department, and if you send them the movement and case numbers, they’ll send you information on that specific watch. This is useful to learn when the watch was cased and whom it was originally sold to. This is also a great way to verify the vendor’s information. 6. Ensure that the watch is working well. If the watch is not working, then factor in repair costs. Buying a non-working watch can be a toss-up. It can either lead to significant repair costs or it can be a rather simple, inexpensive fix. 7. Verify that the vendor will allow returns if you’re not satisfied with your purchase. 1. Look for signs of abuse or lack of care. If a watch is excessively dented, scratched, or dirty, then you can assume that the inside of the watch is also beat-up and dirty. 2. Identify if anything is missing. This includes the screws, springs, and crown. 3. Ask to see the movement. If there are scratches or marks on the movement, then beware. This most likely means that the watch was not cared for or serviced properly. 4. Listen to the watch. Do you hear a ticking sound? Are there any extra sounds, such as scuffing or knocking? Make sure you listen to the watch in a variety of positions. If the sounds change as you move the watch, this could signal a problem. 5. Try winding the watch. Is there resistance when you wind it? Does the watch run after winding? If you can’t wind the watch, then the mainspring may already be fully wound and the watch is too dirty to run properly. However, this is just one possibility. There could be other, more significant problems. 6. Look at the hands. Do they move smoothly around the dial, or do they jump and jerk? This could be another indicator that your watch needs to be serviced. 7. 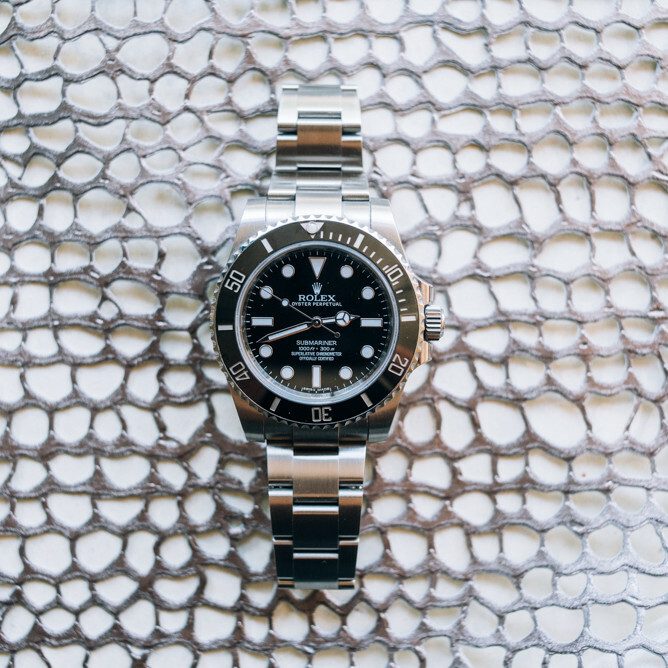 Avoid rusted and water-damaged watches. Look for rust on the movement, stem, crown, dial, and hands. If a watch is rusted, then this can indicate serious problems.